This picture shows the Yosemite Valley, near sunset. 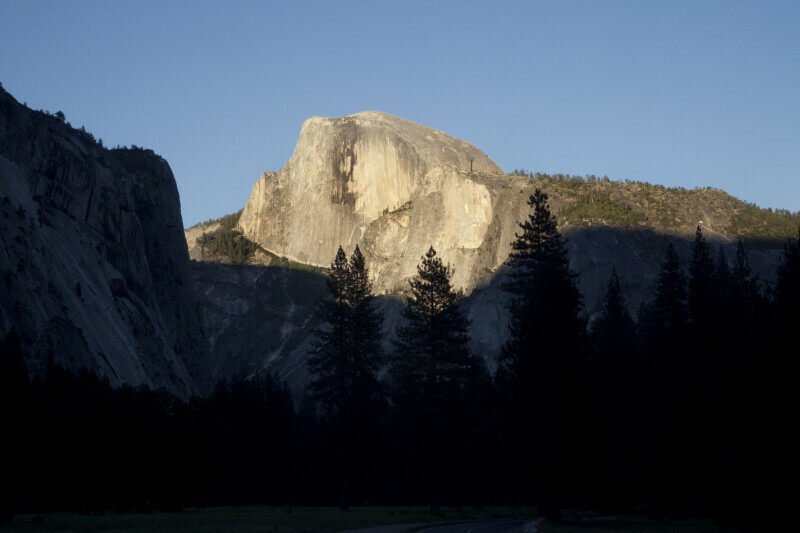 The valley floor is shaded, but there is sunlight on the north face of Half Dome. This picture provides a closer view of Half Dome's north face.